Gaithersburg, Maryland, USA â€“ August 9, 2018- GL Communications Inc. a global leader in telecom test and measurement solutions, announced today its-new Ethernet Tester - PacketExpert™ 10GX, which extends testing capabilities for 10 Gbps and 1 Gbps networks. 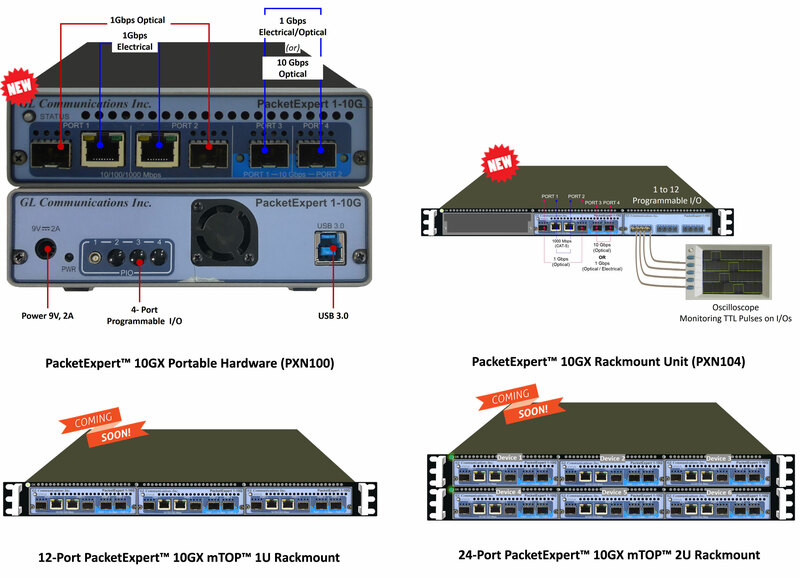 PacketExpert™ 10GX hardware unit is a more compact than its predecessor and includes multiple user-configurable TTL trigger I/O ports and combined 10Gbps/1Gbps capability. The device can run all 4 ports at 1-Gbps Electrical/Optical, including the 10 Gbps downshift to 1 Gbps.